Rising Star is an exciting new Aboriginal early childhood web series designed to encourage young children to play, inquire and think. Based on the educational science of Play School, the Rising Star web series uses music, dance and stories to engage children up to five years old in both English and Aboriginal languages and influence their crucial early learning and development. 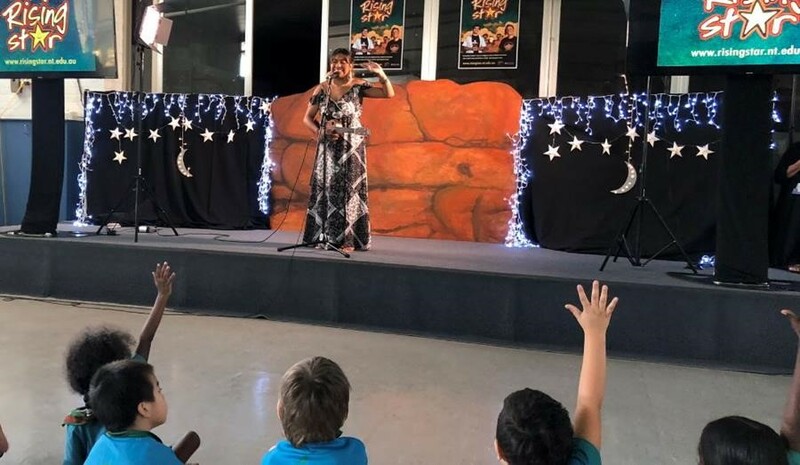 The program is produced locally by the NT Music School and works with the Families as First Teachers Program (FaFT) across 38 Territory locations. It engages young children and their families through interactive play activities, nurturing and everyday learning moments. NT Music School Principal and producer of Rising Star Bill Grose said the program was designed for Aboriginal children but appealed to everyone. “Rising Star has been created to inspire instructional play, conversational reading, emotional learning and lots of fun during a child’s development in the early years,’’ he said. Rising Star is available online and features popular NT Aboriginal artists and presenters including Emily Wurramara, June and Ali Mills, Gus Fitzgerald and Roy Ruwarringa. Rising Star is an initiative of the Northern Territory Music School in partnership with the FaFT program. Two episodes are currently available and a new episode will be available each term. Visit www.risingstar.nt.edu.au to watch the latest episodes of Rising Star.